A relaxed family dinner is always more exciting when trying somewhere different. We frequent cheap and cheerful Chinese restaurants. 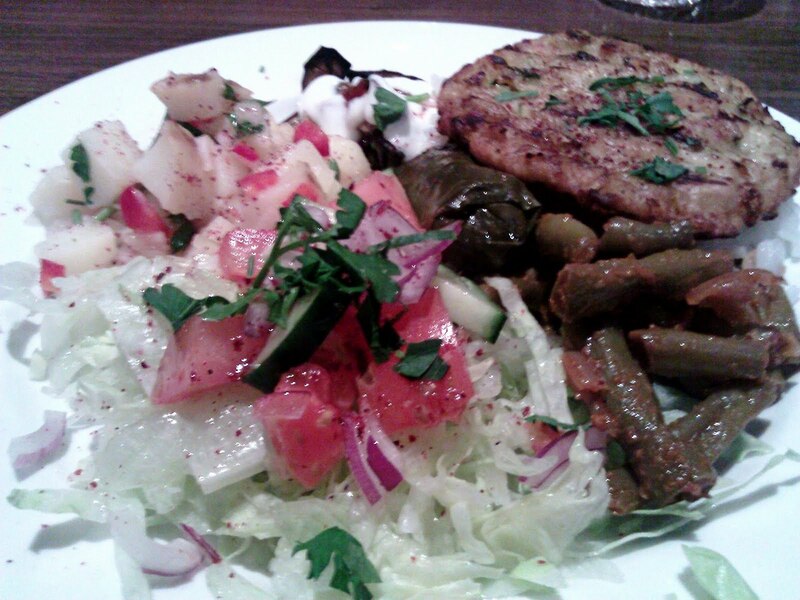 Craving something more interesting, I suggested we try Turkish and discovered Arda was accessible and well reviewed. Arda is casual. Simple tables. Simple floor plan. Simple food. I ordered the vegetarian special. It came with an assortment of home-style tastings. The zucchini fritter was freshly fried and crisp. The bean salad and eggplant had the usual Turkish tang and herbs. There was also rice, dolmades and potato salad. It was a healthy assortment of food groups and flavours. 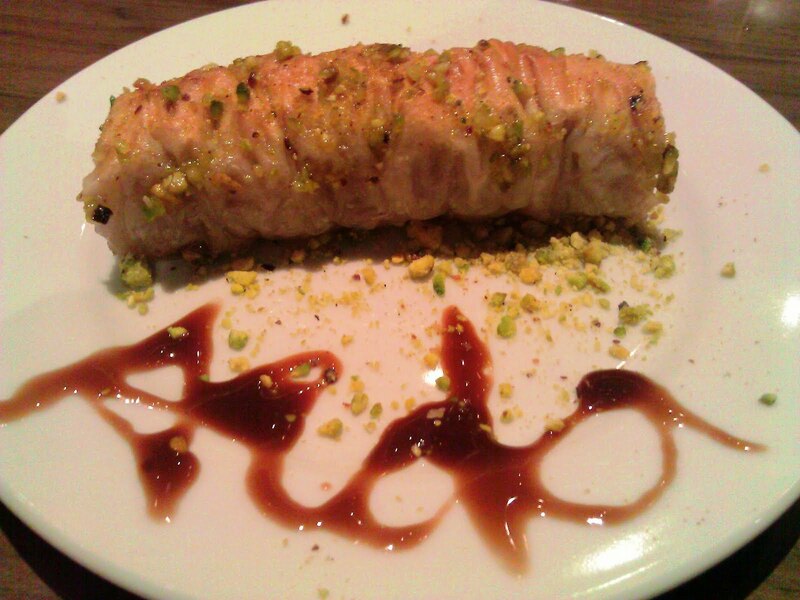 The baklava was moist (soggy) but still refreshing and sweet. Arda entices locals for regular meals (fitting to its name). We enjoyed ours as something different, healthy and home-made.